AUSTIN, Texas -- The question I have been asked most often during the last two years is, "What would Molly think about this?" 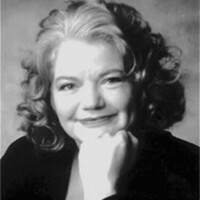 Molly Ivins would have loved this election. She would have loved the beautiful sight of "We the People" finally stepping up to become the real deciders. She would have loved the drama, the comedy and the characters. We miss her regular twice-weekly comments and insights, and hearing her dissect, slice and dice, and make fun of the events and revelations of the week. No one could do it like she did. She made us feel like we weren't alone. She made us want to be our better selves and stand up and use our power. She would be so proud that we finally woke up and worked to make this happen. In many of her lectures, she would exhort her audience to believe in their power. She'd say: "I hear people whine: 'I can't do anything. I'm just one person.'" Then she'd lift her head high and quote from the Declaration of Independence in her Barbara Jordon voice, and remind them, "As a U.S. citizen, you have more political power than most humans who've ever lived on this earth." In fact, we know how she would have felt, because she was as prescient about this election before her death two years ago as she was about all the other tragedies of the Bush years. Carlton Carl, CEO/publisher at Molly's beloved Texas Observer, recalls her saying after Obama's 2004 speech at the Democratic convention, "You know ... that young man could be president someday." Before Barack Obama announced his candidacy, Chicago Magazine asked a number of luminaries if they thought he should run. Opinions varied. Molly was succinct and direct, and with her usual wit and certainty said: "Yes, he should run. He's the only Democrat with any Elvis to him." And, in her column on Jan. 20, 2006, she said: "It's about political courage and heroes, and when a country is desperate for leadership. There are times when regular politics will not do, and this is one of those times. There are times a country is so tired of bull that only the truth can provide relief. If no one in conventional-wisdom politics has the courage to speak up and say what needs to be said, then you go out and find some obscure junior senator ... with the guts to do it." She was speaking about Gene McCarthy then, but it might as well have been Barack Obama. She'd be so happy that her beloved Constitution (she donated one speech a month to groups working to preserve and maintain the First Amendment) is in safer hands -- that some of the worst things ever done in our name are over. She'd love that Barack Obama began his community organizing knowing that power lies in all of us united and that he continues to remind us that we are the deciders. I saw and heard many interviews after Nov. 4 and during inaugural celebrations with people who all said they wished their mother or father or grandmother or friend had been here to witness this history in the making. Tens of thousands of us wished that Molly could have been here to see it. I choose to believe she and all of them did see it because they live on in our hearts, minds and actions. Molly is honored with awards, lectures and scholarships in her name. Many of her readers formed "Pots & Pans" Brigades, following the advice in her final two columns to take to the streets and demand an end to the Iraq war. She always signed her books and her letters with, "Raise more hell," and you can make her live on by doing just that. She lives in everyone who took courage in who they are and what they thought when they read her columns and books, and knew they weren't alone and weren't crazy. She lives on in The Texas Observer (Texasobserver.org) and the ACLU (aclu.org), to whom she left a large portion of her estate. In a letter for the ACLU, she says: "I don't have any children, so I've decided to claim all the future freedom-fighters and hell-raisers as my kin. I figure freedom and justice beat having my name in marble any day. Besides, if there is another life after this one, think how much we'll get to laugh watching it all." Ken Bunting, an old friend of Molly's who's now associate publisher of the Seattle Post-Intelligencer, said of Molly on Election Day, "I'm not much of a believer, but I think our friend is looking down and smiling right along with Barack's grandma." You know, I think he is right.